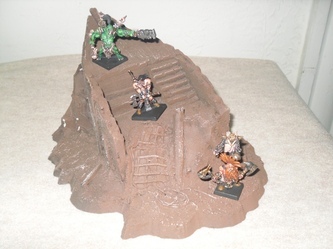 I've been a big fan of ready to go, pre-assembled, and pre-painted terrain pieces as of late. While I can make terrain from scratch if I wanted to... anymore I just prefer not to. With so many kits and pre-made items out there, you almost don't have to make your own terrain anymore. Ziterdes is a company out of Germany. 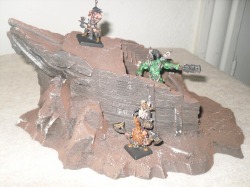 I first discovered them when I saw a piece called the ShipWreck Dark Revenge, which is a piece of terrain that resembles the wreckage of a pirate ship. Once I saw that, I had to get my hands on it to review. You just don't see pieces like it very often, and I'm always on the lookout for products that stand out from the crowd. I'd have to say that ShipWreck Dark Revenge is one of their best pieces, but not their only amazing piece either. I was able to get one of their US distributors to send me a variety of pieces to cover, so a big thanks goes out to ACD Distribution, LLC for their support in putting this article together. 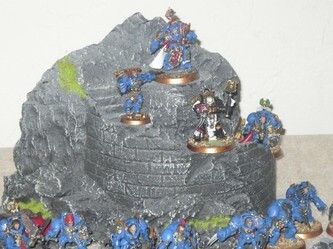 The Kings Cliff is one of the other pieces that caught my eye right off the bat. Kings Cliff is a really nice spiral staircase/ruined watch tower, that looks to be carved out of a mountain side. There's a large king standing there carved into the rock-face, which is no doubt why it's called Kings Cliff. Like most of the terrain they offer, this piece is pre-painted and flocked. 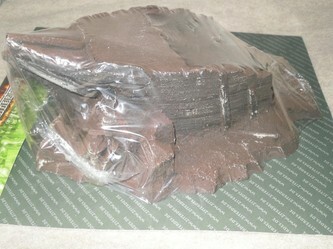 All you have to do is free it from the packaging, and it's ready to place on the table. While it does have a medieval motif, nothing says it hasn't been standing for hundreds, or thousands of years, so you could easily use this for Warmachine, WFB, Warhammer 40k, Lord of the Rings, and most any other 25-30mm fantasy skirmish/wargame. Kings Cliff is by far the 2nd most impressive piece from the Ziterdes line to have grabbed my attention. It's rather large too, and retails for about $35. I've seen it online selling for as low as $33 too. That's reasonable for a piece of this size, and quality. This could easily be a center-piece for most any gaming table, it's that nice. I was also surprised to learn that it's mostly hollow. While it doesn't weight much, due to being hollow, it still feels quite durable. Their Hill with Rocks is just that. 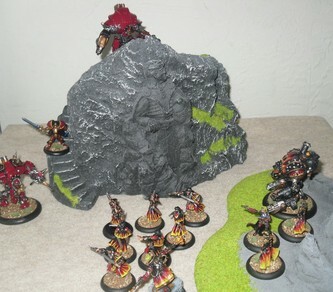 I can't say a lot about a Hill with Rocks, other than it's a sturdy piece of terrain, which is pre-painted and flocked, and ready to play. I do like that underneath the piece is an added bit of structure with little cross-beams, so this looks to be much more durable than the average Hill with Rocks made from a hunk of foam from the competition. This retails for about $20, and I've seen it advertised as low as $18.99 online, so this is right in the same ballpark as a nice foam flocked hill from anyone else. The difference is, this one has a little more structural stability. 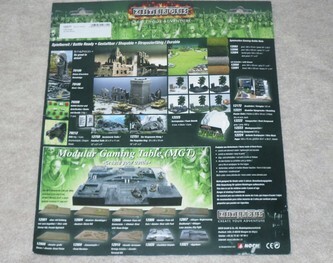 One thing I did notice about every piece, is that each one is shrink-wrapped and then peg-boarded, and on the back of almost every card are pictures detailing many other Ziterdes products. They definitely get an A+ for presentation, and peg-boarded packaging does make for an easy way to stock and display the items at retail. The back of each piece is littered with full color photos, of other impressive pieces from the Ziterdes line. This reminds me very much of the advertising found on the back of GI Joe and StarWars action figures packages. It's a smart move on their part, because they do offer a really wide range of products, and this is a great way entice someone to buy more pieces. 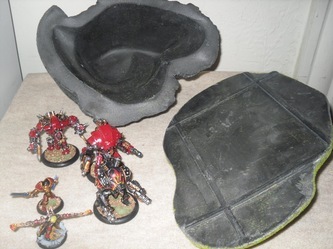 In addition to the ready to go terrain, they offer some bits to help spice up your own custom terrain projects as well. 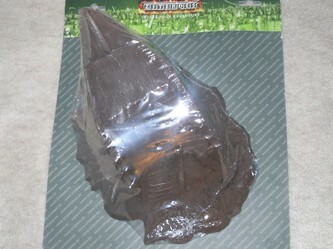 One of the items they had sent along is a small blister pack with 3 gravestones in it, from their Bits & Pieces range. These are pewter gravestones, with nice detail, even wording engraved on them, and overgrowth crawling up the sides to depict these as being very old and unattended to. This little blister runs about $7, which I must admit, is a bit much for just 3 gravestones. There's a variety of other blister packs too in the Bits & Pieces line, like chest and drawers, cupboards, ornamental dragon heads and gargoyles, other types of gravestones (Celtic cross, bats, undead), torches, sacks, wheels, chests, a wide assortment of resin statues too, just to name a few. All of which are priced from $3.99-$12 max. Almost everything in the Bits & Pieces line is designed to help you spice up terrain projects, existing terrain, or just to accessorize a gaming terrain table with. Two of the smaller scenery pieces I've had the chance to look at include the Secret Stairs and Lions Fountain. The Secret Stairs is a nice little set of stone stairs, with what looks like some sort of cat-like creature statue at the foot of the base. This piece is about the size of a pack of cigarettes, only double thick in height. The Secret Stairs costs about $12, which I think is a bit much. It's a nice piece, but considering the size, it really should cost less. The Lions Fountain is also quite small, but is a really nice fountain piece, with a lions head as the centerpiece. This is one piece that I'm tempted to paint the bottom inside of the fountain blue, and to pour in some Vallejo liquid water, to give it the appearance of real water. The Lions Fountain is a wee-bit smaller than the Secret Stairs, and costs about $8 on average, which again, for it's size, I think it should be a little less. 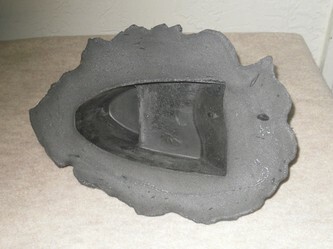 Both pieces are made of sturdy, what appears to be gray foam, which looks to be dry-brushed, and in some places sprayed with off-white. If you're looking to build a fortification or some city wall boundaries, they have a variety of pieces to help achieve this. 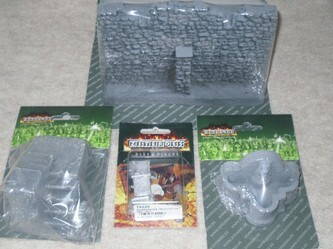 The City Walls Straight piece is a fairly nice size piece, and is one solid straight wall piece, complete with a nice flat base plate, and a ledge on the inside of the wall for archers to repel any attackers. 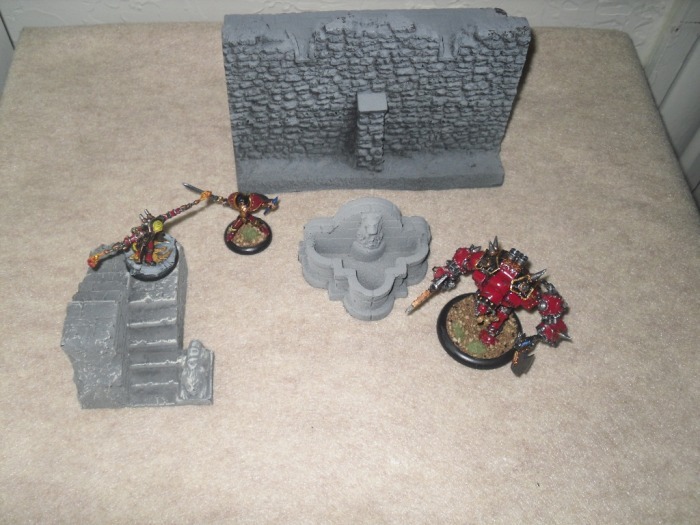 At roughly $20 each, most of these wall pieces would help to make a nice fortification. Taking the size into account, that's a fair price. Again, the paint jobs aren't going to win any awards, but very few pre-painted terrain pieces are ever masterpieces. The paint job does the trick, and conveys what it is quite well, and certainly looks better than if they weren't painted, which is what counts most. Lastly we come to what I consider PART of the flagship piece. 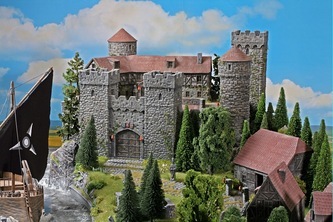 Well Ziterdes does make a piece called Wolvenstien Castle, that costs about $175, which in the pictures I've seen of it, it looks uber impressive. Therefore some could argue that's the flagship piece, but I beg to differ. 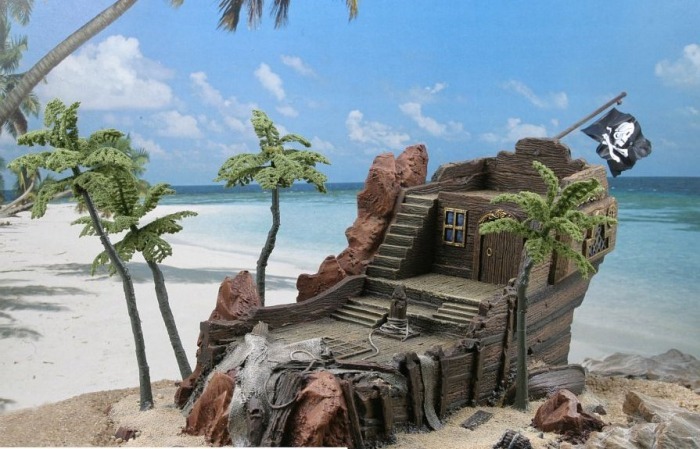 I think the ShipWreck Dark Revenge and the ShipBow Dark Revenge combined are by far one of the most unique, and defining pieces of the entire line of scenery which they offer. At roughly $80 online the ShipWreck Dark Revenge/ShipBow Dark Revenge combo, isn't the most expensive ready to go scenery I've ever seen either. Quite frankly, Ziterdes offers some other pieces that cost more, all of which are larger, and almost equally as impressive, but they're not the Dark Revenge. With pirate games like Ron & Bones picking up popularity, and the newly released pirate game from Freebooter Miniatures called Freebooter's Fate hitting the streets... I really foresee the ShipWreck/ShipBow Dark Revenge combo being a very good starting point piece to build a nice pirate-themed table around. These are just the kind of pieces people will be looking for, if they haven't found them already. 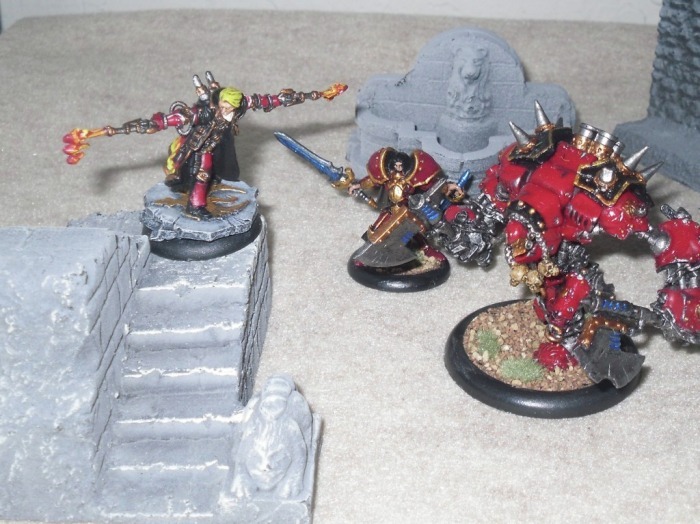 I'm vaguely remembering that someone made some really cool looking Ork and Dwarven Pirate figures too, which would make these pieces ideal for even Warhammer Fantasty Battles too. Just because it's a pirate ship, doesn't mean it has to be used only for pirate games. Just to clarify, the piece I'm reviewing first-hand is the ShipBow Dark Revenge. 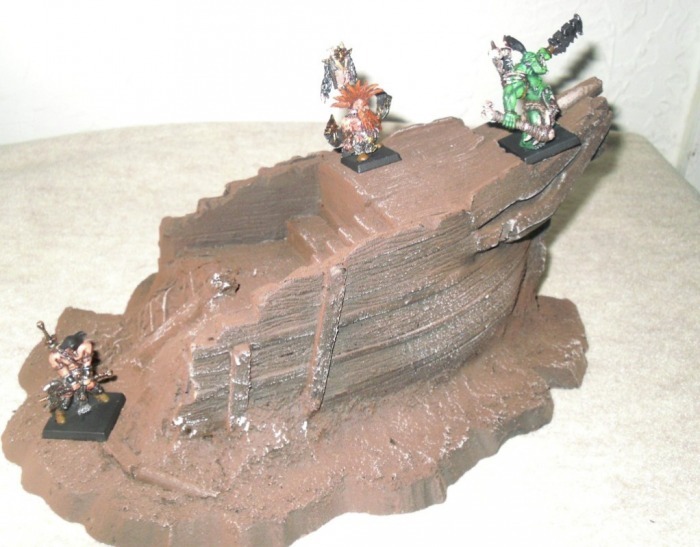 The ShipBow Dark Revenge is a medium size piece, and it's not quite as large as the Kings Cliff, or the ShipWreck Dark Revenge. Like the Kings Cliff, the ShipBow Dark Revenge is also hollow underneath, but quite durable overall. ShipBow Dark Revenge comes painted mostly brown, with what appears to be some off-white dry-brushed details. This is the one piece I really thought would be painted with more detail than it is too. 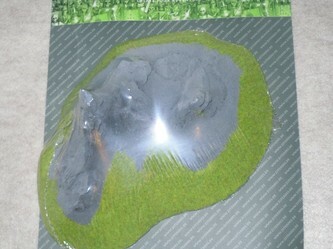 However, I can easily touch it up, and make it more amazing, with a little bit of painting and dry-brushing of my own. I think that's just what I'll end up doing with this piece too. 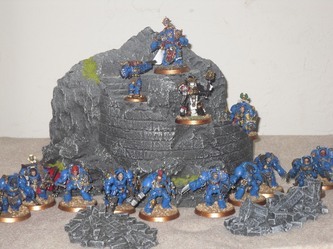 One nice thing about any of these pieces, it that they're not painted up so much that there's no way to add to, or improve upon what's already there. Almost any of these pieces could easily be touched up in such a way that you can turn a really nice piece, into something special. That just covers the pieces I've had the chance to see up close and personal. There are loads more where that came from. If I had more room in general, I'd go nuts and pick up a bunch more of this stuff. 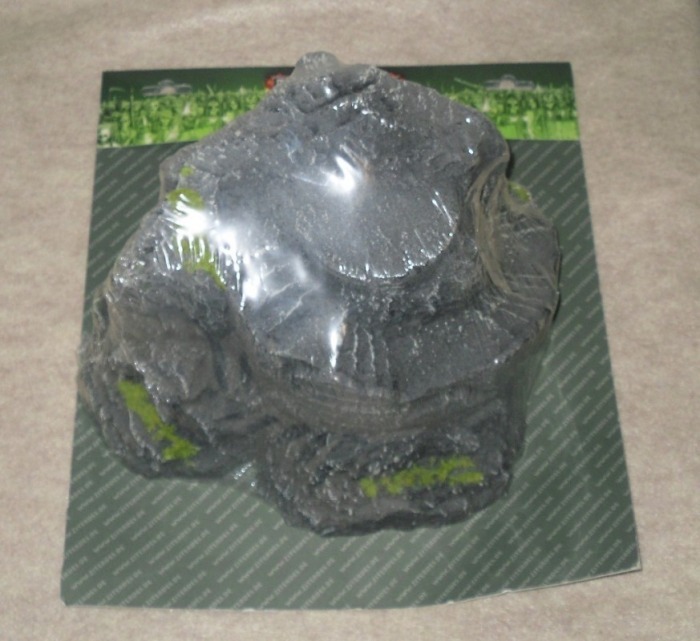 A few other pieces that really caught my eye, include the Petrified Trolls piece, which is totally a replica of the scenery shown briefly in the Lord of the Rings trilogy of movies. Originally that scene is from the Hobbit where Bilbo encounters the trolls Bill, Bert and Tom, and sunlight turns them to stone. They also make a Watch Tower Ruins piece, that is totally the ruins of Weathertop where Frodo is stabbed with a Morgul-blade by a Ringwraith. 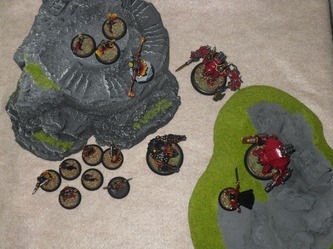 I don't even play the GamesWorkshop's LOTR games anymore, and I can really appreciate how nice those pieces are. 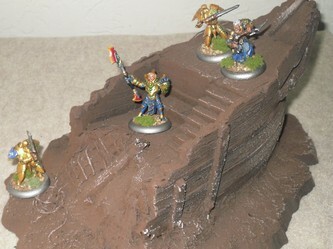 They make me miss playing GW's LOTR miniatures games. Even though they're all the way in Germany, Ziterdes has managed to break into the miniatures/wargaming industry here in North America with a really solid line of products. 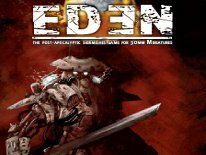 If your local Hobby Shop/Gaming Store doesn't carry any of their products, you might want to have them reach ACD Distribution, LCC to make arrangements to carry the line. It really is nice stuff. My only complaint is that some of the smaller pieces are a little overpriced. However, pieces like the Kings Cliff, ShipBow Dark Revenge, even the Hills with Rocks are all competitively priced with other similar products out there of the same size, and quality. What's more, even with the Dark Revenge being different, it's still a really stellar piece. It's also all very durable, and well made stuff from what I've seen first-hand. I'd have to say it's of almost the same quality as the stuff I've owned in the past from ESLO, which is another company ironically out of Germany as well, who also make excellent, and durable terrain/scenery pieces for gaming. Like any company, Ziterdes could do some things better, but no one is perfect either. The fact remains, I see far more really stellar stuff in their product line, than I do overpriced, and average looking stuff. 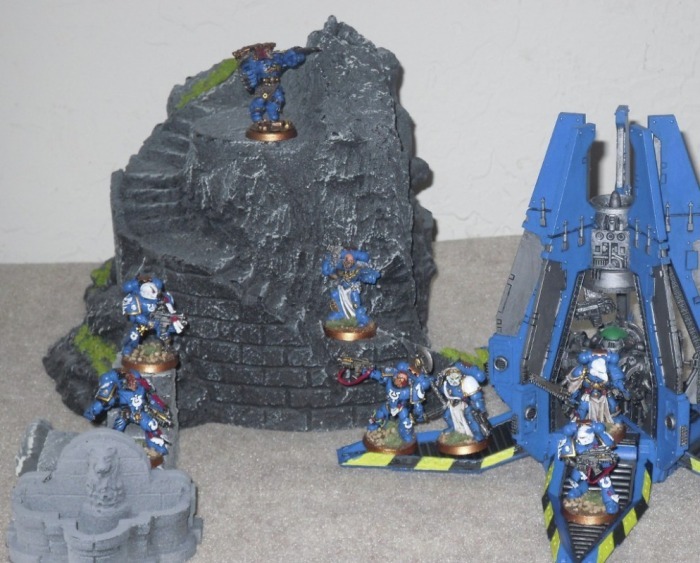 If you're tired of making terrain, or even buying kits and having to assemble and paint them up, then the Ziterdes line might be a good alternative to pursue. I appologize for confusing the ShipBow Dark Revenge for being the ShipWreck Dark Revenge in the earlier edit, because I assumed they sent me what I had asked for. This explains why initially I thought that the piece was different from the one from the Ziterdes website. If Ziterdes just worked with me direct on this project to begin with, it would have been A LOT easier for all of us involved, but I was shuffled around to 3 different people, before ACD finally stepped up to the plate. The fact is the ShipBow Dark Revenge is A LOT nicer, and more detailed than I remember from the photos, so it was easy to assume it was the ShipWreck Dark Revenge, when you combine the fact of that's what they were supposeed to be sending too. lol The only good news to come of this confusion, is that the piece I reviewed (ShipBow Dark Revenge) is $35 online (on average), because it's NOT the $48 ShipWreck Dark Revenge. Therefore it's an even better deal than I initially reported. So if the review seams a little different, it's because it is, as I had to edit the review, to fix the major error.